Lapine - Joelle Delbourgo Associates, Inc.
Missy Chase Lapine is the innovative force behind SNEAKY BLENDS: Supercharge Your Health with More Th an 100 Recipes Using the Power of Purees (North Star Way/Simon & Schuster, September 2016). Missy is best known as the creator of the wildly successful Sneaky Chef series of books, including her first, a New York Times bestseller, The Sneaky Chef (Running Press, 2007) The Sneaky Chef: How to Cheat on Your Man in the Kitchen (2008) The Sneaky Chef to the Rescue (2009), and The Speedy Sneaky Chef (2010). All of the books reflect Missy’s dedication to getting families to eat healthier, by incorporating often “hidden” vegetables and fruits in America’s favorite recipes. Her latest book, SNEAKY BLENDS, takes this philosophy one-step further by letting Missy’s signature purees stand front and center of innovative recipes from dips and spreads, to soups, main dishes, desserts and snacks. Missy’s “Sneaky Chef” brand extends to grocery shelves with her “No-Nut Butter” that uses chick peas to simulate peanut butter, packing nutrients that even allergy-sensitive children can enjoy, pasta sauces with hidden vegetables and more. Missy has been a member of Parenting Magazine’s team of experts, the “Mom Squad,” a panel of high-profile experts who are featured regularly in the industry-leading magazine. She has been a cooking instructor at New York’s finest culinary schools, and also serves on the Children’s Advisory Council of New York-Presbyterian Morgan Stanley Children’s Hospital, where Sneaky Chef recipes are served to patients. Missy and her work have been featured in a variety of local and national media, including television appearances on “The Today Show,” “Fox & Friends,” and “700 Club,” and radio interviews on National Public Radio, WOR, Martha Stewart Radio, as well as others. Missy has also contributed to and been featured in many national magazines and websites, including Parenting, SELF, First, Family Fun, and Scholastic Magazine, Education.com, ModernMom.com, HotMomsClub.com, SheKnows.com, Mamapedia.com and more. 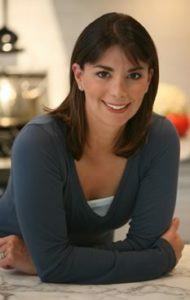 A highly sought after speaker on the topics of food, health, and family, Missy has visited numerous non-profit organizations, hospitals, and consumer cooking and health fairs across the United States where she presents her unique concept and gives dynamic demonstrations. She has also presented to trade associations such as the American Dietetic Association and the School Nutrition Association. Missy actively engages the public through her state-of-the-art consumer friendly website, www.TheSneakyChef.com and answers all inquiries from her readers and fans directly. Missy is the former publisher of Eating Well magazine and is the founder of BabySpa, a natural baby product line. She lives in Westchester County, New York, with her husband and two daughters. And while they have long ago caught on to (and now love) her stealth health tricks, families around the country are being introduced to America’s Sneaky Mom and her methods every day.